Those of you who make bajra rotis/bajra bhakri in the winters must definitely try this interesting breakfast dish. This recipe is generally made with leftover bajra bhakris/bajra rotis. 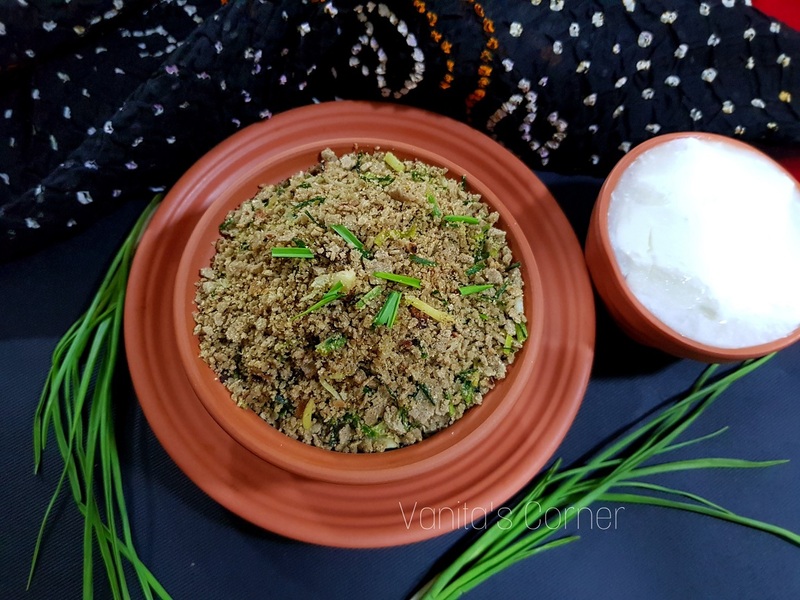 But whenever I make bajra bhakris for dinner, I make extra bhakris so that I can make this dish the following morning for breakfast. Lasooni Bajra is made with leftover bhakris and fresh green garlic. Winter is the time when fresh green garlic is abundantly available in the market. So, it’s the best season to make this dish. I was introduced to this dish a few years ago by my friend Zulfiya and since then, I have prepared this dish every winter. 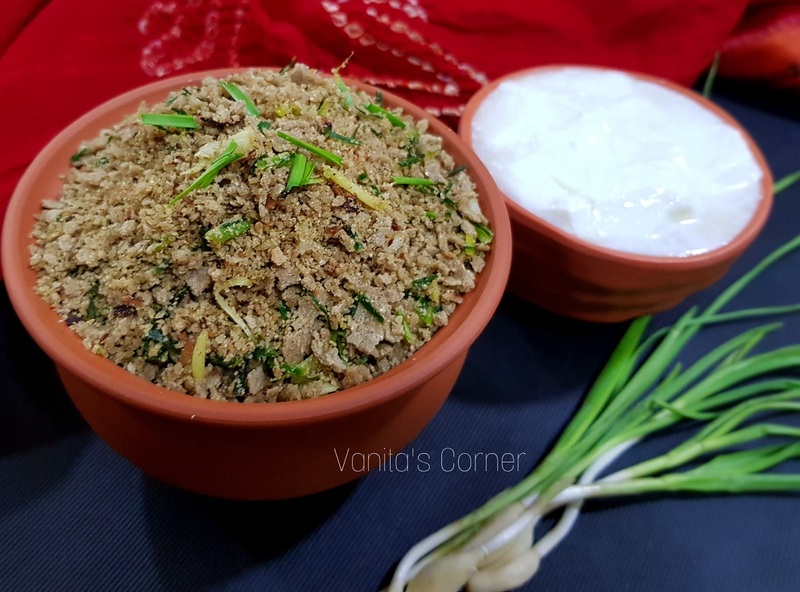 It is a simple but delicious and nutritious dish So, here goes the recipe. Blend the bhakri pieces in a mixer to a coarse powder. Add the chopped green garlic to the pan and saute for 3 to 4 minutes. Add the powdered bhakri, salt and saute. Give it a good mix. Lassoni Bajra is ready to be served. Into a serving bowl or a plate, add a ladleful of lasooni bajra. Top it up with half a cup of curds. Give it a mix and you are good to go.